There are albums that, for no apparent reason and simultaneously for so many reasons, you find yourself playing and replaying, again and again. I live off music, I create music, I study music, actively seeking out sounds that are unfamiliar to me, but some albums are purely functional. Like an aspirin, A River Ain't Too Much to Love can hit that spot and dissolve it. The beauty in these "functional albums" is that they are completely subjective, it might not tick your boxes. Then again it just might. 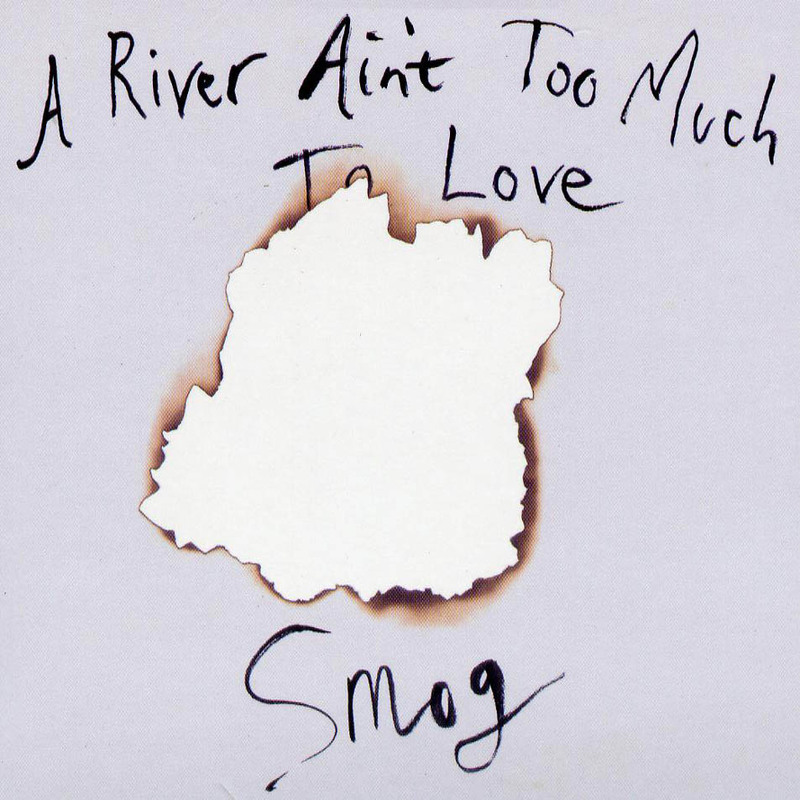 Smog, or Bill Callahan, has one of those voices, like Johnny Cash or Nick Cave, which root you to the ground after just one syllable. He accompanies himself with a guitar and little else. Instead, the acoustic guitar is left to resound. Smog lets you hear the silence in between the sounds. My only criticism would be that the entire album keeps in the same energy, but perhaps that is also one of its strengths. Sand takes time to settle, and in our caffeinated, hurried lives perhaps we need an entire album to feel the ground again. The song 'Rock Bottom Riser' is a beautiful rendition of the things that we are attracted to and that sink us. These "gold rings" of the mirk can fool us when they are, in fact, only the reflection of the sun in the water (I'll let you think about that one). There's enough poetry in his lyrics to keep you pondering for many nights. Ten years after its first release A River Ain't Too Much to Love still strikes the listener with its dark irony, creativity and poignancy. Don't have time: Listen to 'Palimpsest'. When to listen: After a long day's work, or after a conflict, night time preferably. Where: At home with proper speakers.